This is an updated post of a Music Industry blog post. Check out the original posting here. In order to maintain a competitive edge in the music scene, it’s necessary to embrace social media. 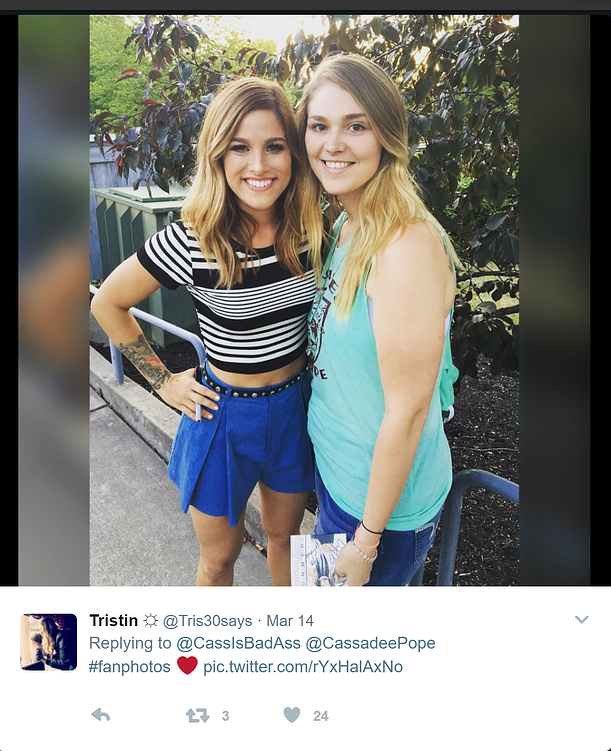 Make the most of your time on tour by connecting with fans near and far, never missing an opportunity to connect with them and showcase your band's unique personality. Being on the road provides you with plenty of great content, and used properly, social media can grow your fan base and turn followers into promoters. We've listed "Four E's" that you may find useful to engage and entertain while on the road. Social media is meant for showcasing what makes a band, concert or individual unique, and that includes all member of the team.Many apps make that easy to do from the convenience of your phone and most allow you to cross post the same photo. Give fans an exclusive virtual backstage pass by sharing pictures of daily life on tour. Show how you spend time on the tour bus or share details of rehearsal or special moments. Leave the professional photos to the pros and post photos that are candid and unedited to give a real glimpse into life on tour. 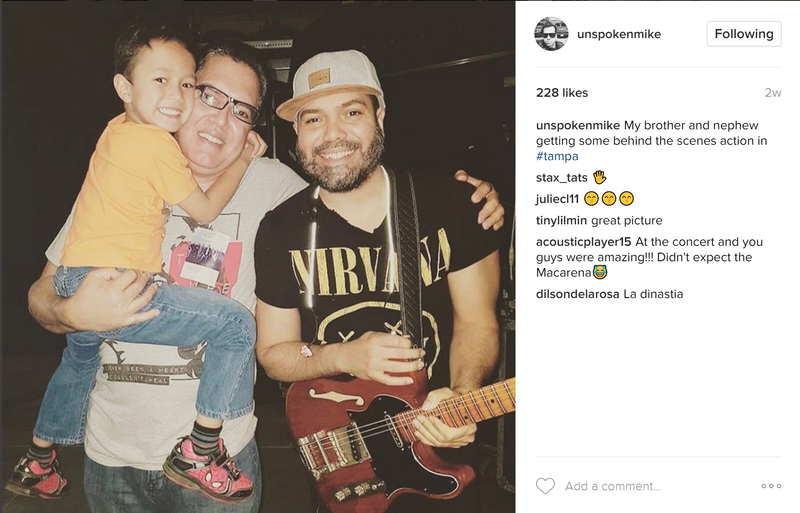 Mike Gomez of Unspoken shares backstage family visit. 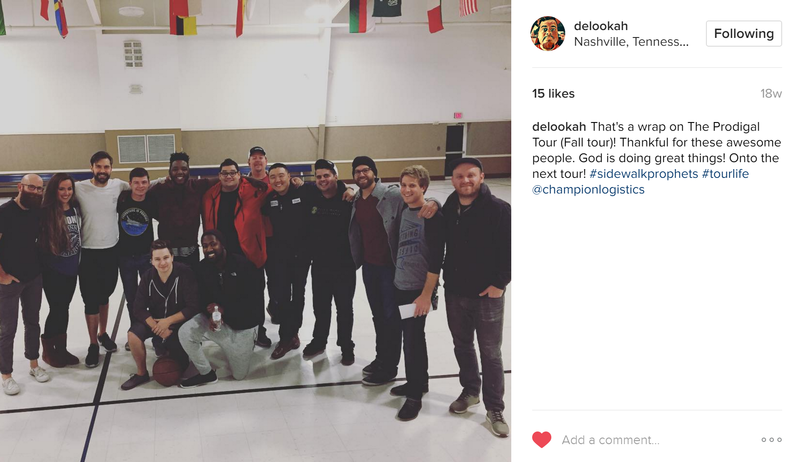 Members of Sidewalk Prophets and crew share a final moment together at end of tour. 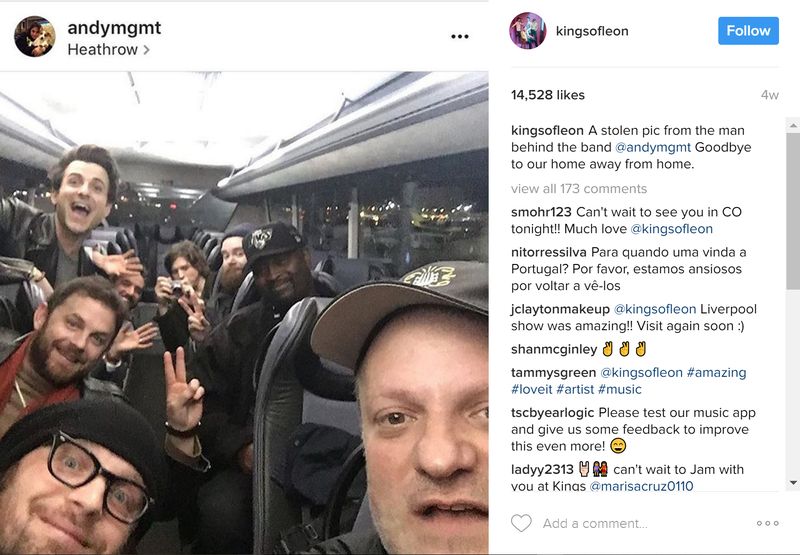 Candid and fun photos, like this one of Kings of Leon, give a behind the scenese glimpse of tour life. Engage by encouraging posts and photos and responding to them by using a dedicated hashtag. Visiting a new city? Be sure to ask for tips on where to eat and what to see, or share your adventures in a new city with your followers. 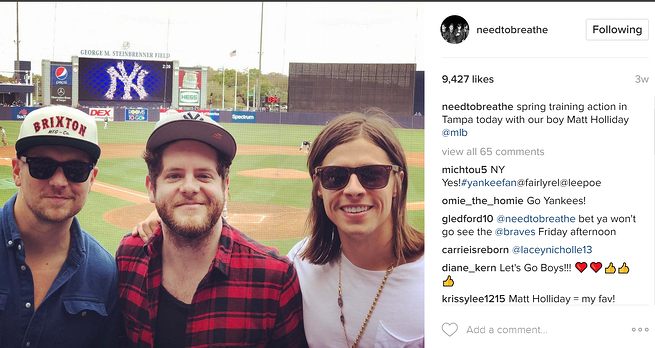 Mike Donehy, lead singer of Tenth Avenue North, posts regular video blogs on topics close to him and his fans. Sharing fun and funny moments, memes and random thoughts is a great way to share the lighter side of tour life. Tour managers are frequently behind the scenes. Allow social media to put your front and center and give others a chance to know one of the most important members of the band. How do you engage, entertain and provide exclusive content to your followers? Share your tips by commenting below or by tagging #tourlife in your social media posts. 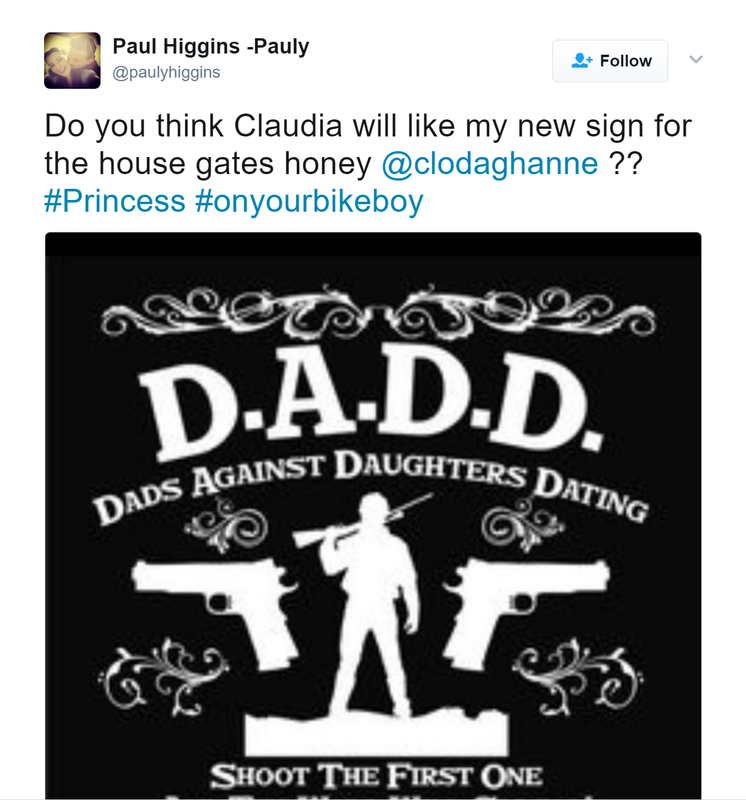 Posting on the fly is ideal and provides a more real time glimpse into life on tour but sometimes we all need to schedule social media in advance. Bandsintown is an easy way for tour managers to manage and promote tour dates and Facebook events on your fan page, website, Tumblr, Twitter, mobile apps, and more, from a single dashboard, similar to HootSuite. Need another way to stay organized on the road? Download our free day sheet to track set lists, hotels, runners and all things needed to make your tour go smoothly.